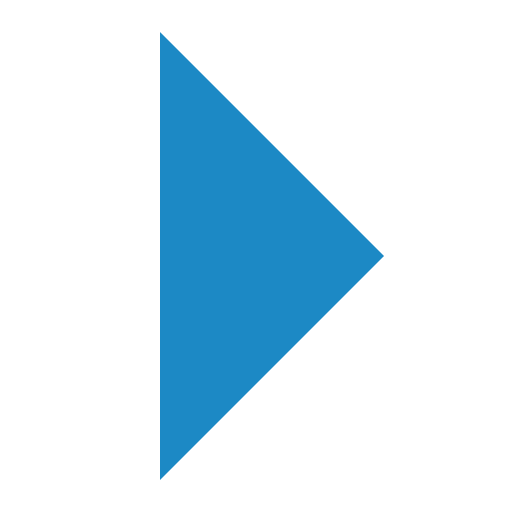 Highly flexible self organizing value creation networks formed by connecting people, machines and systems, these networks which will dynamically optimize themselves in real time. 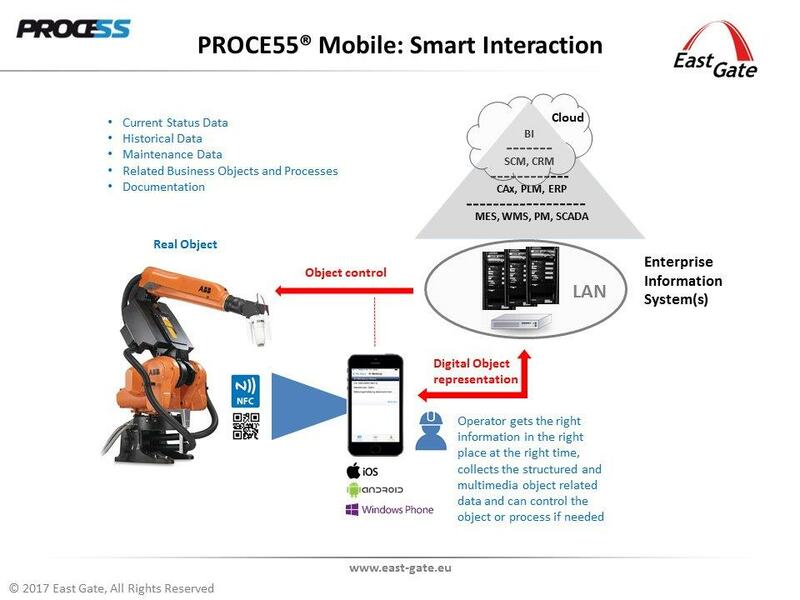 PROCE55 Mobile can be used with success for the most popular aspect of the Smart Factory today which we call Smart interaction. as well as control such an object using mobile phones via wireless network. 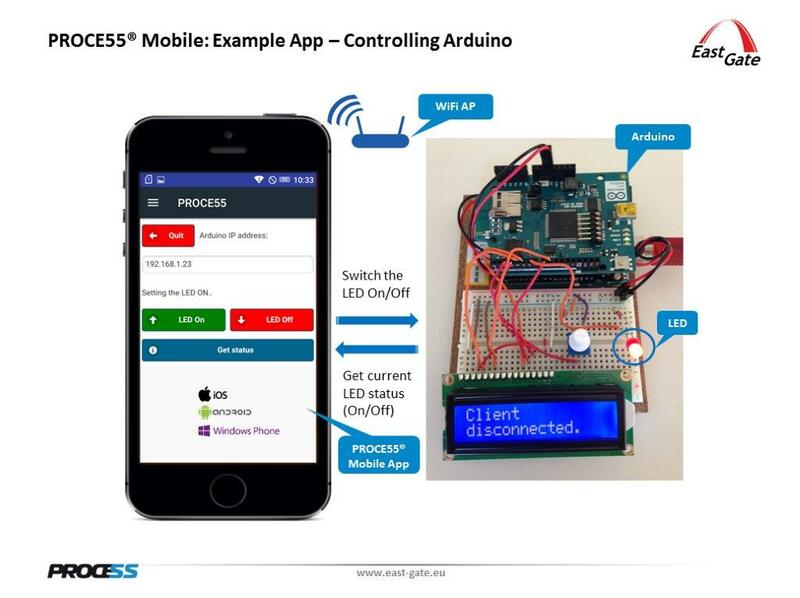 Here is a small real working example of the Smart Interaction with a most popular electronic prototyping platform - Arduino. You can download all the necessary components to get your Arduino board running with this example here. Raspberry Pi Robot controlled using an iOS mobile phone equipped with the PROCE55 Mobile application. Please note, that the QR code contains the control algorithm, and by simple scanning of the QR code you can take over the control of the IoT device. This is a typical future Smart Factory (Industry 4.0) scenario, where the intellligent cyber-physical systems (CPS) are working autonomously, and sometimes a man needs to take over the control of the CPS. 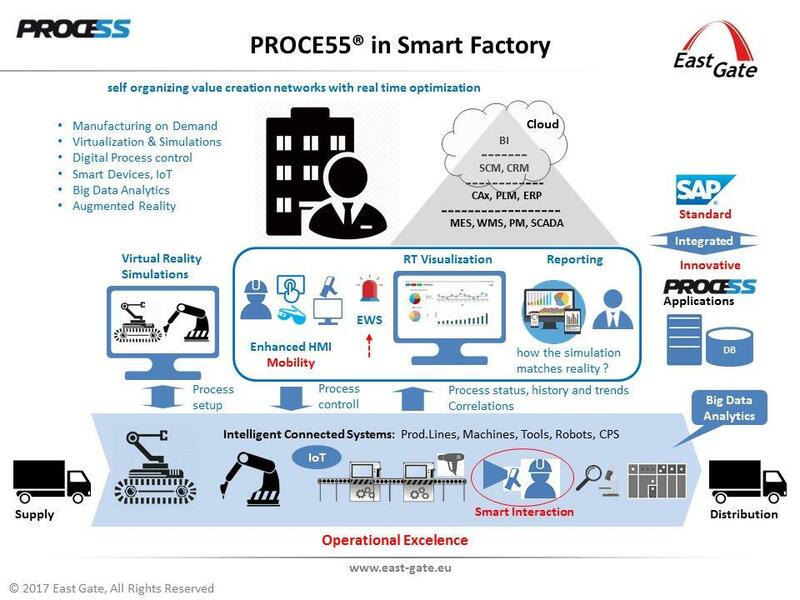 PROCE55® is based on the experience which East Gate® acquired in challenging process automation and system integration projects in large manufacturing industries across the Western and Eastern Europe. Using PROCE55® you can achieve quick wins and real improvement of process performance in context of complex mission-critical processes.